You guys know how much I hate laundry. Even when we lived in an apartment, with a washer and dryer setup right outside our bedroom door, it wasn’t on my list of things I loved to do. 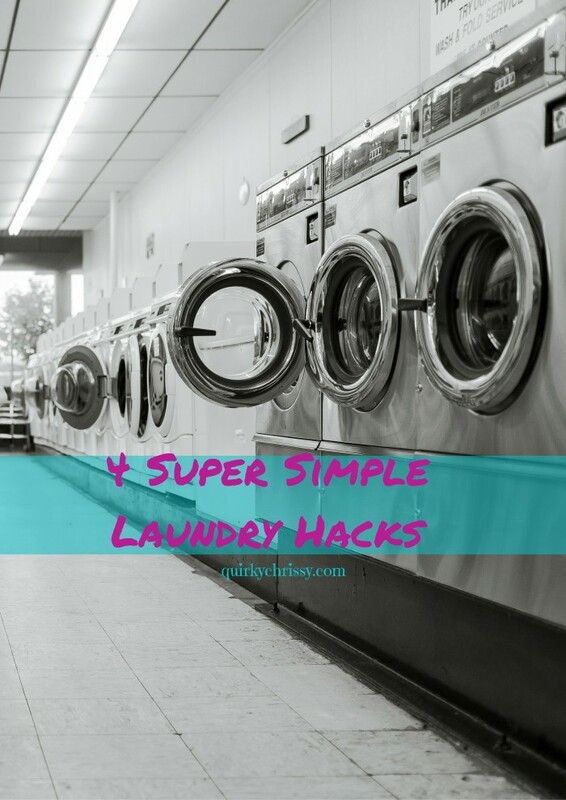 Luckily, I’ve been working with some really awesome companies that are simplifying laundry for me so I can properly respond to the stains and spills that happen around here on a daily basis, and I’ve partnered with some of these brands and bloggers to share a few super easy laundry hacks. I destroyed this poor shirt while cooking. 1. Sick of ironing? Put your iron away and use Downy Wrinkle Releaser Plus instead. Just spray, smooth and tug and watch those wrinkles disappear. I’m a big fan of this method, because it’s hard enough for me to remember to remove laundry from the dryer, let alone iron it right away. And I never travel without it. Have a stain while you’re out and about? Use the Dreft Stain Stick to remove the stain ASAP. 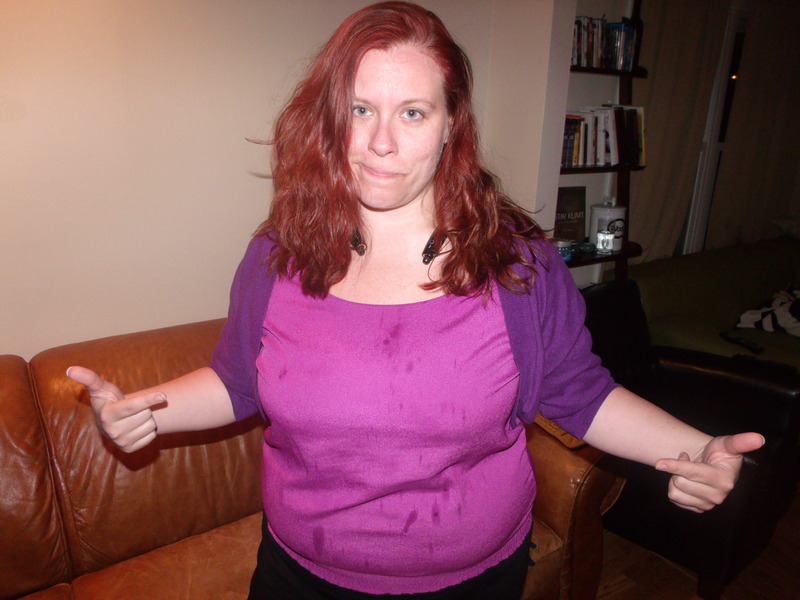 You know how I like to spill things on myself, especially food things. Mostly food things that leave stains. I always have a stain stick on me – at home, at work, and in my purse or backpack. Keep forgetting those wet towels in the wash? Febreze In-Wash Odor Eliminator to the rescue. Add some to your next load of laundry, and #SinktheStink. I’m so glad there are products like this to help me when I’m forgetful. Seriously, I can’t even tell you how many times we’ve had to rewash stuff because we left it in the washer a little too long. Trying to get your clothes as soft as possible – and don’t have an HE washer? Try the Downy Ball. As long as I can remember, we’ve had a dispenser for the fabric softener, but if you don’t, this could make it way easier. What laundry tips do you have for me? What makes it easier for you to get laundry done in your home? No one paid me any dollars to say nice things about these products, though I have received free samples to provide my opinion and share it on social media.